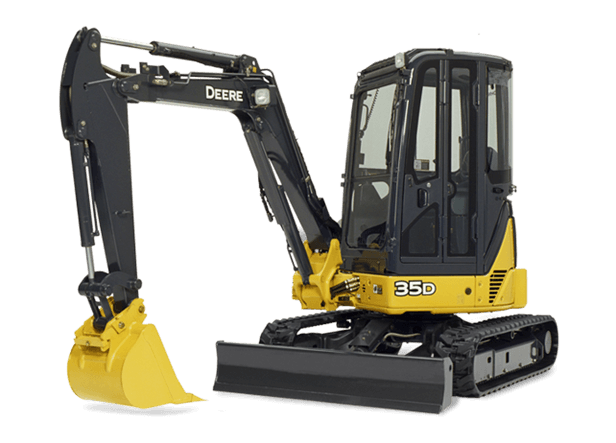 The 35D's design allows this nimble machine to rotate fully without banging its tail into something. Combined with independent-swing boom and 360-degree rotation, it slips into close quarters comfortably and works with ease around obstacles. But it's not just its shape and small stature that make the 35D such a valuable asset. Equipped with standard quick-coupler and auxiliary hydraulics, plus any of the many available Worksite Pro™ attachments, it's the perfect machine for a wide variety of work.